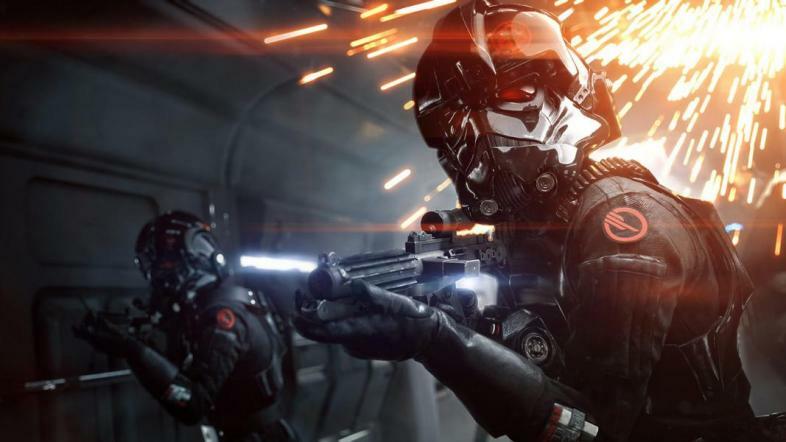 With the release of Star Wars Battlefront II EA were sure to have another hit on their hands, building off the excitement from the soon to be released Star Wars: The Last Jedi and the staggering sales numbers generated by the first title. Unfortunately, even before Battlefront II’s release, players noticed an unwanted element of the multiplayer experience that would soon snowball into one of them most widely publicized PR disasters the gaming industry has ever known. Things started to go south just after the release of the games open beta, one month before the games full release. A system of loot crates – optional in-game purchases – were implemented, meaning that players interested in purchasing Star Cards (offering upgraded abilities and stats for many of the games playable characters) could simply purchase them outright, as opposed to earning credits whilst playing the game. This in itself is nothing new, with games having used such systems for years in order to satisfy the needs of players on tight schedules. However in this case, the amount of credits needed to unlock these upgrades was so large – and the amount to purchase them with real money so minimal – that players labelled the overall experience as “pay to win”. One well known commentator put it simply: “you can quite literally pay money for statistical advantages in Star Wars Battlefront II”. EA had the opportunity to course correct these issues before the game’s release however when the time came, nothing seemed to have changed. In fact, when the curtain was finally lifted on the full release, not only did players find these Star Cards still solely available inside randomized loot boxes (a design choice considered a deliberate marketing ploy, incentivising the purchase of further DLC) but now the games heroes i.e. the ability to play as Luke Skywalker and Darth Vader among others, could only be unlocked by paying real money or by amassing the impossibly large sum of 60,000 credits. Considering only 200 credits could be earned per match, some fans were understandably annoyed. EA quickly lowered the required amount of credits for heroes’ such as Vader and Luke to 15,000 but for many it felt like too little too late. Such was the vitriol directed towards EA that mainstream media outlets began picking up the threads, leading to actual proposals to change state legislature in Hawaii, banning the sale of loot box games to those under 21 due to their reliance upon randomization and their striking resemblance to forms of gambling. Angry response from a reddit user, calling on paid loot boxes to be banned. Soon the dust began to settle and people’s attention – clipped by years of video game playing – moved on. Within the community EA remained relatively quiet, releasing a smattering of balance changes in proceeding months as players patiently waited for the progression overhaul they truly wanted. Star Cards will no longer be available for purchase as part of a loot box. Instead, they will be earned through gameplay, with players unlocking Skill Points by participating in multiplayer games, which in turn can be exchanged for Star Cards. The only items available for purchase will be cosmetic upgrades for your heroes and characters and even these can also be earned through in game credits. Anything that affects gameplay directly will no longer be made available for purchase. With these changes, EA hopes it can move past the uproar and finally focus on improving a game with endless promise, based on one of the most popular franchise in the world. Only time will tell if the players invest, with disappointing sales numbers signalling that the ship may have already sailed for Battlefront II. But who knows, it is Star Wars after all.